Inspect a sample of the super charged Victory Polo Shirt #P606MS, Ladies #P606LS. Logo embroidery service is available. Six Colours including Grey-Fluoro, Black/Grey/Red, Grey/Silver Orange. 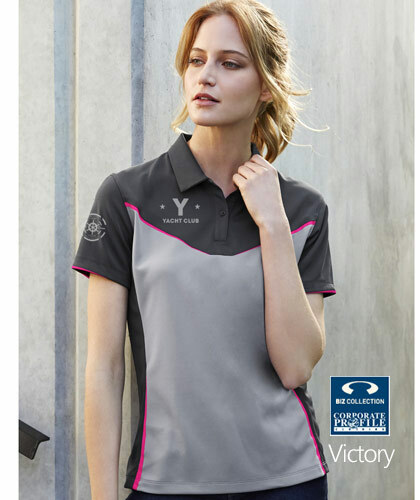 Victory Polo presents a professional sport industry appearance. and Caps for a coordinated uniform program. Your team will look fantastic in this shirt! 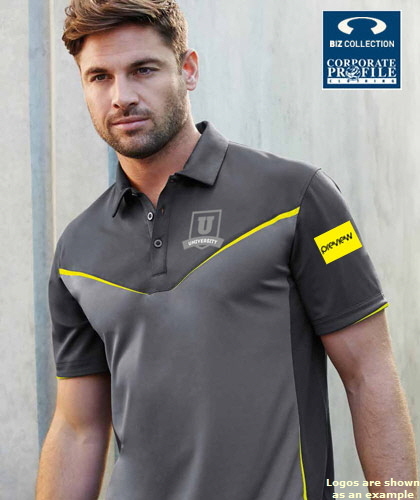 Impressive 100% BIZ COOL Polyester Sports Interlock. Fluoro design print on front, back and sides. Anti bacterial treated fabric helps to keep you cool and fresh. Little or no ironing after laundering. 155 gram is good comfortable weight and versatile for office & outdoor requirements. The shirt will provide long lasting durability and comfort for the wearer. 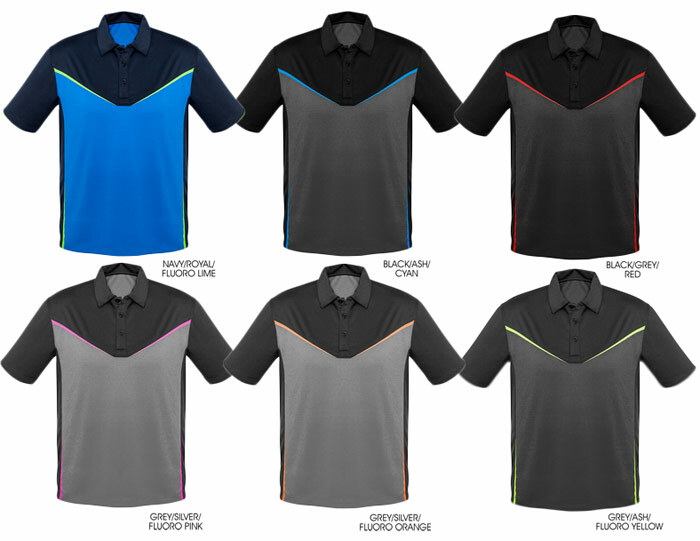 6 colours are available in large range of Mens and Ladies sizes for everyone in your organisation. Mens-Small, Medium, Large, XL, XXL, 3XL. and 5XL. Ladies-8. 10. 12. 14. 16. 18. 20. 22. 24. Discounts apply on MOQ (Minimum Order Quantity) of 30 pcs. Bulk volume quantities can be quoted based on your requirements. **ADD $2.00 each for Mens Sizes 3XL and 5XL. Your logo can also be used on Bags and Caps, Jackets and Shirts etc. and quantities. Normally the standard minimum print run is 50 pcs. Please allow 2 to 3 weeks for delivery or advise your deadline and we will try to assist you.